Instruction manual for Arkay Dual-Dri 150 Drum-type Print Dryers. 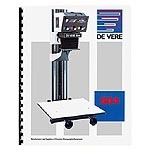 Instruction manual for Arkay RC-1100SS and RC-2100SS Print Dryers. High quality copy of the original Arkay instruction manual for the ST-22 Drum-type Print Dryer. Instruction manual for Ascor CD1200 electronic flash systems. Instruction manual for Ascor QC1000 electronic flash systems. Instruction manual for Ascor QC-2 electronic flash systems. Instruction manual for Ascor QC4 electronic flash systems. 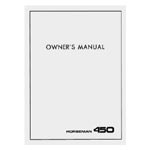 Instruction manual for Ascor QC-400 electronic flash systems. Instruction manual for Ascor QC-8 electronic flash systems. 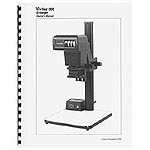 Instruction manual for early Beseler/Minolta #8289 and #8290 45A Enlarger Colorheads. Instruction manual for early (olive and grey finish) 23C condenser enlargers. Instruction manual for "late-style" 23C II-XL condenser enlargers. Instruction manual for 23C Series II condenser enlargers as manufactured during the 1970's. Instruction manual for "early-style" 23CII and 23C II-XL condenser enlargers. Instruction manual for "mid-style" 23C II and 23C II XL condenser enlargers. Instruction manual for later 23C II-XL Dichro enlargers. Instruction manual for Beseler 23CIII-XL enlargers.